« Open Studio & Train Night: Halloween Edition! 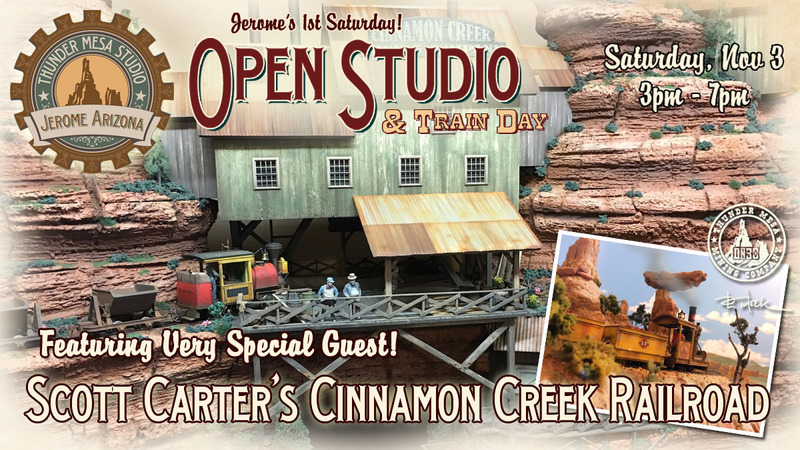 Join us Saturday, November 3, 2018 at Thunder Mesa Studio on Jerome’s 1st Saturday! See special Guest Scott Carter’s amazing On30 Cinnamon Creek Railroad side by side with the Thunder Mesa Mining Company Model Railroad! Come hang out with Dave and Scott as we play trains and have a rockin’ good time. Stick around after 5pm for the 1st Saturday Jerome Art Walk.